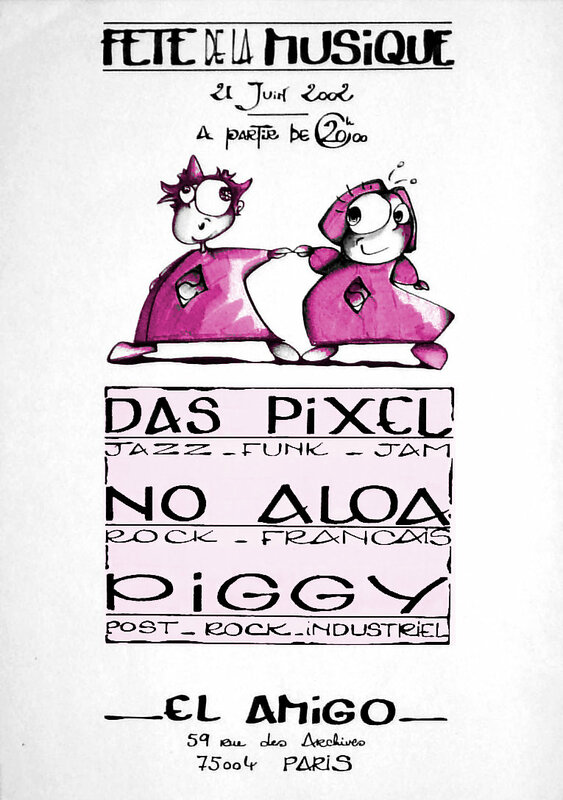 Das Pixel was a funk-jazz band that was active between 2001 and 2004 in Paris. That was a real cool band with great musicians: Vincent on Fender Rhodes, Olivier on bass clarinet and soprano saxophone, Alexis on bass, Diemo on drums, Geoffroy on guitar and trumpet, and sometimes our friend Nicola on the flute. I played guitar and melodica. 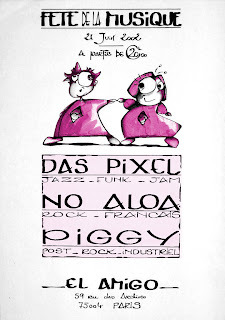 We used to do a few jazz covers, but we were mostly playing our own compositions. Most of them used asymmetric time signatures! Check out this live recording or our hit single!